The lifeblood of commerce in the United States runs on its highways and byways and it’s the truckers and their organizations that keep that lifeblood flowing smoothly. Oregon is blessed with a number of leading trucking firms and organizations, among them is Tradewinds Transportation based in Millersburg (just a bit north of Albany). The firm was originally founded in 2002, though its principal has some 30 years of experience in the trucking industry. Tradewinds has evolved over the years to become a full-service operation. 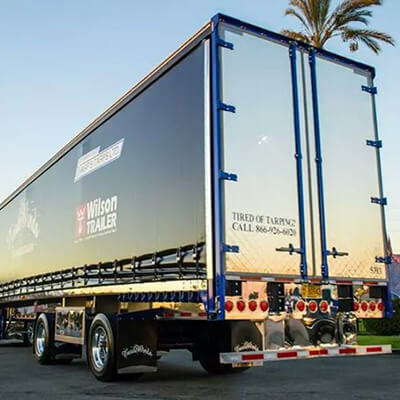 It currently counts more than 100 asset-based trucks in its fleet, including both curtain van and tractor-trailer combinations. They partner with more than 7,500 carriers across the nation to ensure seamless product delivery. They also offer warehousing and storage services to accommodate a range of unique delivery needs. While trucking services are vital to the nation’s commerce, the industry is in the crosshairs when it comes to work-related accidents. According to the U.S. Census Bureau, vehicle-related incidents are the number one cause of work-related fatalities in the nation. Accidents involving vehicles account for 40 percent of all work-related fatalities in the country. Reducing incidents by taking preventative measures is just one reason why Tradewinds has partnered with the SAIF OBI CompSAFE workers’ compensation insurance program. The results can speak for themselves. Tradewinds has a virtual trophy-room full of awards. In 2012, it was recognized with 1st Place for Fleet Safety by the Oregon Trucking Association (OTA) for Carrier classes under 2 million miles. It repeated the honor in 2013 while also earning the Fleet Safety Grand Champion honors from OTA. The year also saw Tradewinds log its fifth consecutive year without a single time-loss incident. In 2014, the company was named as one of the state’s Top Workplaces by The Oregonian. The trucking enterprise is on another run of time logged without a time-loss, making it seven out of the past eight years without a recordable incident. It’s a diligence and a commitment to quality that continues to serve Tradewinds Transportation well, mile after mile.